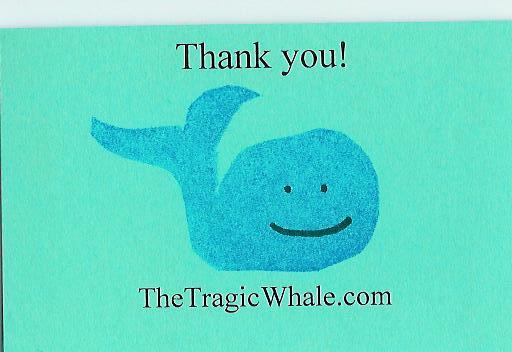 Tags: The Tragic Whale: Killing Whales Since 2008. 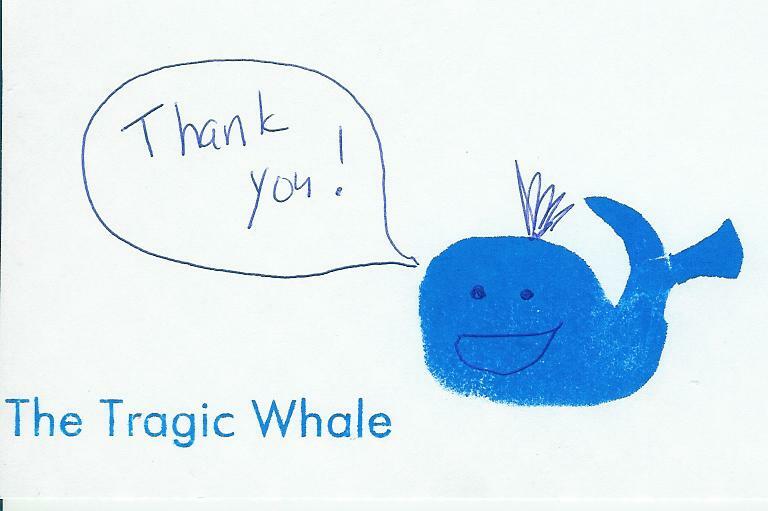 1) When people buy things from my etsy, I don’t have to scramble to make a half-baked business card / thank you note and hope they remember me for future crafting needs. I can just send them my card and write thank you on it! 2) I’m official. Or at least I feel official. It took me a long time to decide on them. First I didn’t “need” them. Then I was going to “make my own.” Then I was just going to wait until “next week” (and next week, and next week, etc). And what about slogans and catch phrases? 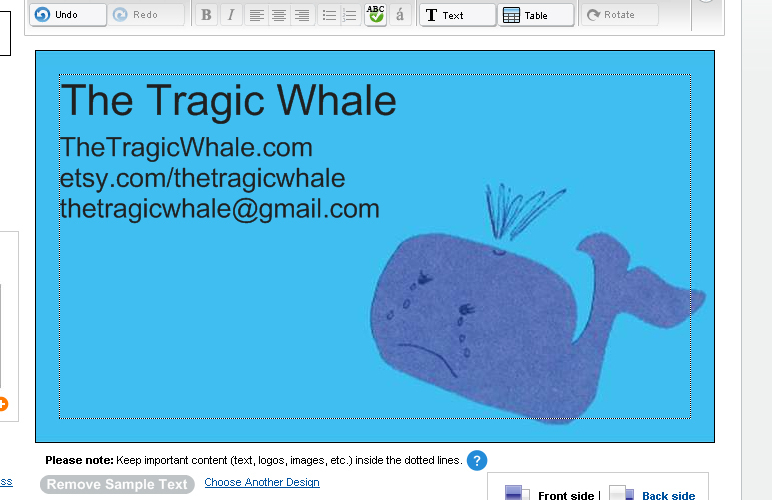 The Tragic Whale. 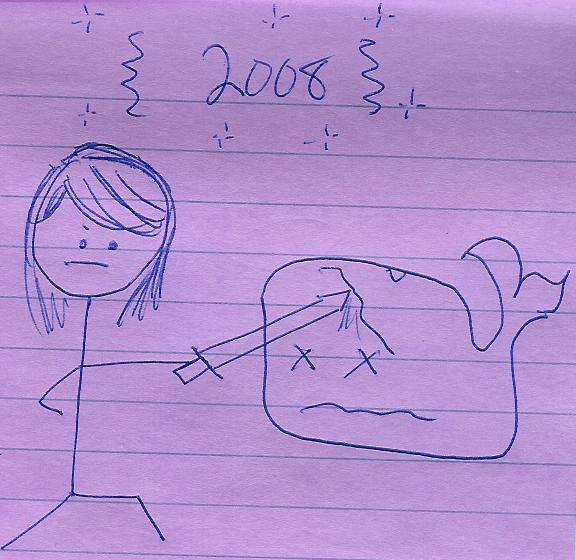 Killing whales since 2008. 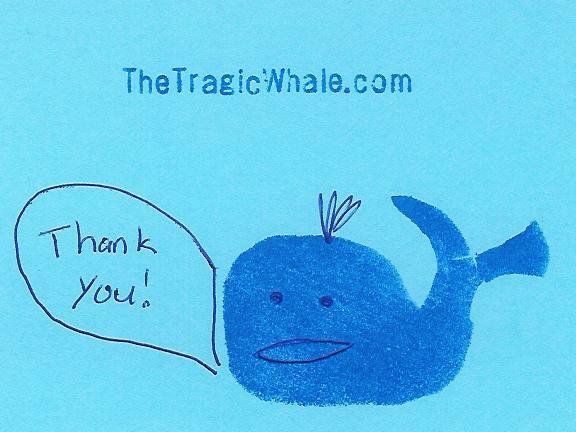 The Tragic Whale. For laughs and crafts! Is this a joke? 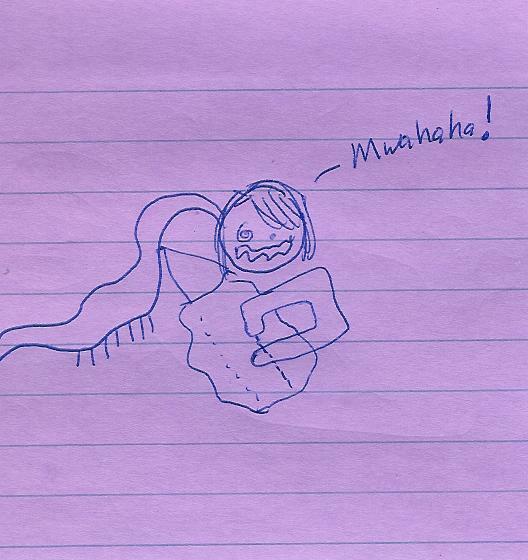 Also, I’m not sure how I turned myself into a snake/bug/monster. I almost put a dead whale on them, but I think that would be too confusing. 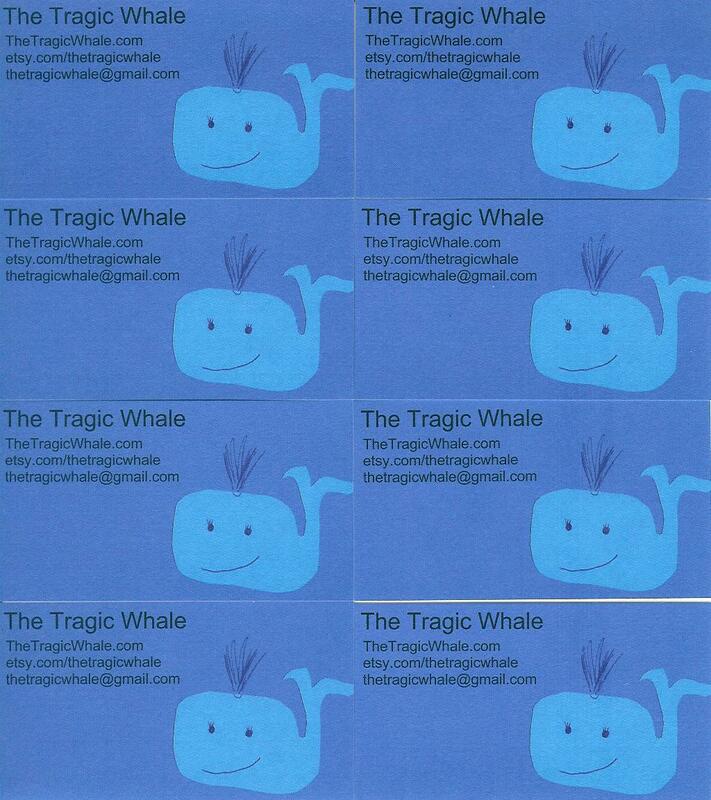 Thank you, Vistaprint, for making it easy to make business cards! For almost tricking me out of an additional $30! 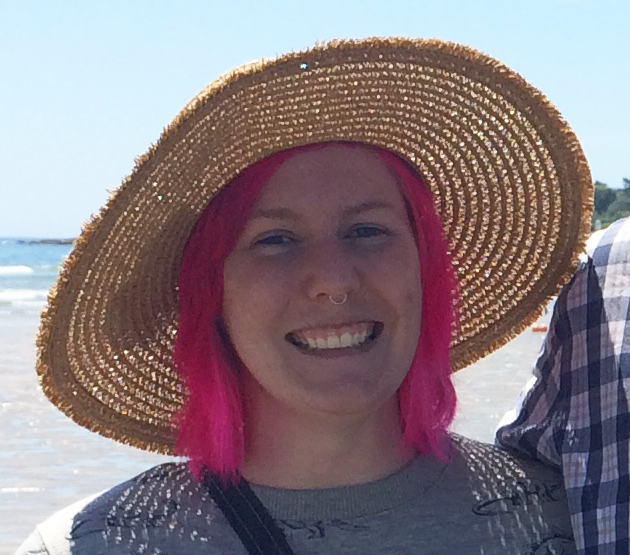 And for letting me know it would take a month to print and ship, and then sending my business cards a week later!